THE BASEBALL PROJECT: VOLUME 1: FROZEN ROPES AND DYING QUAILS: 2008: 5 STARS OUT OF 5 STARS: A supergroup- that writes and performs their original songs about baseball. They cover baseball past and present- fantastic stuff. 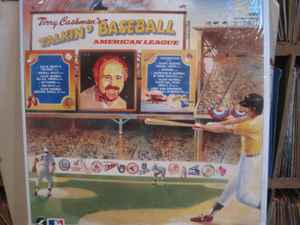 TERRY CASHMAN: TALKIN’ BASEBALL: AMERICAN LEAGUE: 1982: 3 STARS OUT OF 5 STARS: Terry Cashman was best known for his producing Jim Croce in the early 70’s. In the 1981 he did the great Talkin’ Baseball- which inspired more baseball songs- this one dealing with American League teams. A nice listen. His other really great baseball song was a tribute to the baseball play by play men- Play By Play. 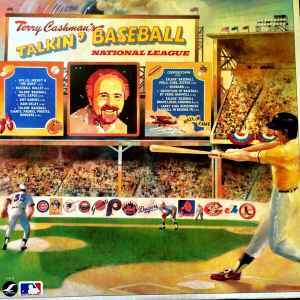 TERRY CASHMAN” TALKIN’ BASEBALL: NATIONAL LEAGUE: 3 STARS OUT OF 5 STARS: 1982: You would only like these two Cashman albums if you were a baseball fanatic- The Baseball Project albums you could easily like if you weren’t a fan. Great list. I need to check out more of the Baseball Project… Great concept. Been listening to all these baseball songs while working on my greatest baseball hits list!